American football wide receiver best known for his time with the NFL's Green Bay Packers. 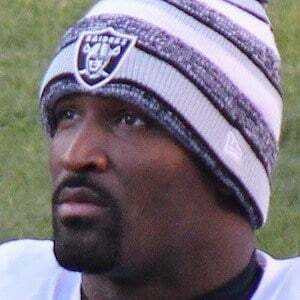 He played with the team from 2007-2013 before signing a contract with the Raiders for 2014. He returned to Green Bay in 2015. He played college football at San Jose State. After a senior seaosn in which he caught 70 passes for 893 yards and 10 touchdowns, he was selected in the third round of the 2007 NFL draft by the Packers. After winning the 2011 Super Bowl, he gave an autographed jersey to his Pop Warner coach Marion Larrea, whose mentorship Jones credits for his success. Jones grew up in various homeless shelter with his mother. He moved in with his grandmother in high school. Jones become a favorite target of quarterback Aaron Rodgers during his time in the league.